Listening to the Millencolin podcast right now. Been a fan since 98. Saw Mxpx the day after 9/11 with Mest at the convention center in Bakersfield. Would love to hear Chris Hannah on a podcast. Mike is the bomb.com-absolutely love the podcast! Amazing podcast for the scene. Love the podcast! Listen every week guys. Thank you!!! Insightful, thoughtful, sometimes off the wall but I love it. Even if youâre not a fan of MxPx you will love this podcast. Listen! Mike really had something great going with his podcast. As a huge mxpx fan, I get a lot of enjoyment hearing him talk about the band with his band mates or guests, but just as enjoyable is just hearing the dynamic between Mike and his guests, regardless of what topic they're discussing. I feel like I've learned a lot about music and the music industry just from this podcast. Host tells stories to the guest really lame you want to hear about the guest but you just donât get that. itâs pretty awesome getting to hear you talk to all the dudes from bands i listen to, and hear old stories. thatâs totally the best part! great job, mike! I love mxpx so itâs a no surprise I love hearing Mike talk the talk. Keep it going man. Love it. Listen regularly and can't get enough. Mike is an excellent host and love hearing how well he engages with guests on the show. Learn so much from each episode and it fulfills that intellectual stimulation for me. Keep up the good work my dude! Mike is a legend, and a consummate professional. Classy act all around. I always love tuning in when I get a chance. Keep up the good work, cheers! Always honest and entertaining. I make a point to listen to every episode! Excellent review with Travis Barker, of Blink 182. Always something interesting to hear. Chime in and listen closely.. This really is a fun show that takes you back to the roots of punk rock while also hitting all the other topics of life that we all experience. This is a podcast with no boundaries. It feels like you are in a room with a few of your pals while talking about anything and everything. The podcast covers everything from religion, politics, sports, music, to technology. Mike is tolerant and respectful of other people's views when expressing his own. It's just a chill conversation that I look forward to tuning into from time to time. Insightful discussions and hilarious comments throughout the power hour. This is a great way to follow what's new with mxpx and upcoming tour dates. Been a huge fan of mxpx since my freshman yr in college(1999). Saw you guys at the pageant in St. Louis in 2000 and then again in Dallas a week ago. EPIC SHOW still after 16 yrs!! Hope to see you guys soon and with tom next time. Hope you got to check out serious pizza, angry dog, or twisted root. Again, Great podcast Mike! Keep it up bro and keep making great punk rawk music. Iâve been a big MxPx fan for more than a decade and I really enjoy listening to Mikeâs podcast. I always look forward to listening to this podcast every week! You can count on interesting conversation from Mike and his guestsâ¦ spanning current events, the music business, to behind the scenes of Mxpx and regular old life stuff. Thanks for taking us along on your adventures and thanks for keeping it real. HEY MIKE PLEASE READ THIS! Since I'm a MXPX fan for life, of course I'm going to give Mike's podcast a good review. Music, traveling, tour life, life in general (get it? ), and more...always good stuff. I'm never bored when I listen to Mike and his wide variety of guests talk...keep it up! Even if you're not a fan of punk rock, this podcast will keep your attention from start to finish. Check out his chat with Oliver Peck. Mike you're a legend! No bells and whistles here... Just real talk from a punk rock icon... You'll never know where the conversation might end up! Get on it!!! Been listening to them everyday for the last week in the car I travel a lot for my job around locally. Really cool to hear these I've been a fan since the late 90's really got into guitar and music because of MxPx and still play your songs almost daily. Interesting to see how time has changed you guys, pretty awesome stories as well from these and some of my favorite bands growing up are guests on here too. Keep it up we all love these even if it takes us (me) awhile to finally get around to leaving your a review. Mikes an awesome human, great Musician, and fantastic Podcaster, he had me on episode 56 hope you all enjoyed our chat! Don't have to like MxPx to love this podcast. I've been a fan of MxPx for the last 15 years but that's not why I love this podcast. Mike talks on all types of topics including politics. His stories from the road are the best and even if you have never heard of MxPx you will enjoy his stories.Always filled with great guests and even when I don't know who they are they still add interesting content to each episode.Let's face it though, if you're an MxPx fan you will definitely love this podcast.But even if you aren't a fan or don't even know who Mike is, I suggest you check it out anyways. You won't be disappointed. Awesome insight from an awesome artist. I grew up and matured to MxPx records. I love to hear Mikeâs thoughts on basically everything and heâs really easy to listen to even when heâs getting off on a tangent. Itâs awesome to hear his insight on stuff and itâs really inspiring to know that his development as a person (being the frontman for one of the more influential bands in my life) runs closely parallel to my own.I wasnât sure what to expect at first since I only follow about two other podcasts (who has time to keep up with many more? ), but he delivered and then some. I was initially intrigued because of my MxPx fandom, but wash then found an incredibly interesting podcast which I will likely be listening to for a while to come. Great podcast! Always relevant, informative and entertaining. This is one of the greatest, most entertaining & relevant Podcasts on the Internet airwaves to date. It also helps that the host is the frontman for one of the most important and influential Punk Rock bands of all time. Thanks Mike, Tom & Yuri for making a positive impact with your music throughout the majority of my life. PXPX til I die!! The analysis of entertainment, entertaining. Insider stories are nuts! It's the perfect combination of entertainment and insightful. I don't know if you are doing this for fan networking, or therapeutic reasons, but please continue. awesome podcast! should be on more then once a week! hooked. This podcast is a lot of fun to listen to. Great guests, great dialogue, lot of different topics. Even if you aren't familiar with Mike's music projects this is an honest podcast that anyone can enjoy. Very thought provoking and entertaining at the same time! I love this podcast!! Mike Herrera is an amazing radio personality with incredible ties in the industry -- he has an uncanny sense for what makes a great guest, and his guests are ALWAYS intriguing, knowledgeable, and have great stories to tell.You also don't have to agree with Mike or his guests politically to enjoy this show -- Mike's humble awareness of his level of knowledge on a topic is endearing, as is his "live and let live" philosophy. The only episode I'd steer away from is #30, because it lacks the balance between host and guest that makes the Mike Herrera Hour work from week to week. I really have zero complaints about the show as a whole, Mike, keep it up!!! Catching up on the MHH while driving is one of my favorite parts of my work week. Really enjoy your podcast! Kris Roe as well as Pancho and lefty were my favorite episodes. Keep it up! I'm not a big podcast person. Probably because I usually just throw on some tunes when I get in the car or go for a run. That being said, I love throwing on The Mike Herrera Podcast when commuting to and from work or when making long drives. Mike and his guests always have something interesting to talk about and I'm generally learning something new with each podcast. There's really nothing that's off limits, especially when it comes to political discussions. The podcast is a great way to get some additional insight into what's going on in the world, and allows you to get to know Mike and his friends on a totally different level. I'm still getting caught up, but my favorite episodes so far are the travel/music-related discussions. Keep 'em com in'! Refreshingly honest and a great insight into punk rock. Great talks with interesting people. The mark of a good podcast, for me, is when a host can provide a listener with a sense that s/he is confident and vocal on his/her opinions regarding a topic, but that those opinions, like the people themselves, can be subject to change or evolution. 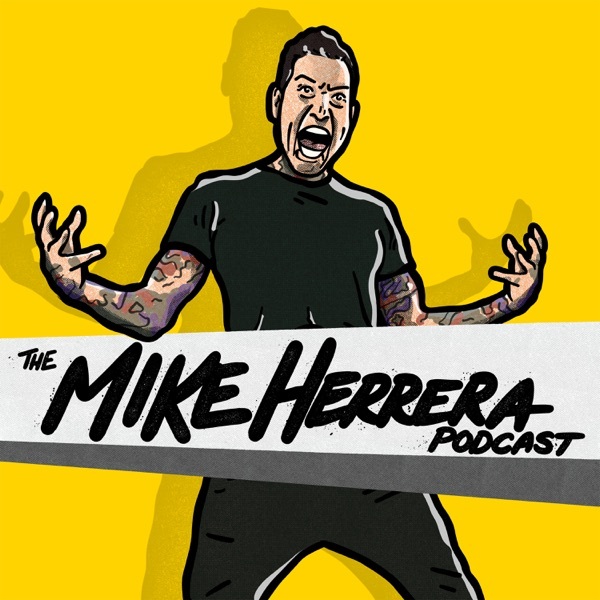 In these episodes of the Mike Herrera Hour, we get to see the evolution of a person who is constantly seeking to be more well-informed, and possibly grow as a direct result of having conversations that will challenge his own assumptions, as well as those of his guests. What you get as a result, is a podcast that is genuine, authentic, and occasionally frustrating, for its spontaneity. At times, Mike does a fabulous job of being able to reign in his guests to keep to a theme or subject, at other times, the guest does the reigning, but what you always have is something that rejects a format, and instead flows like a real conversation would: with highs and lows and ebbs and flows. Mike is a very charismatic host, and continues to surprise and reward listeners with his various topics, as well as candid personal reflection into his own life and career. Those who are expecting this podcast to be "just one thing" (punk rawk talk, government talk, religious talk, MxPx talk, etc.) have only to listen to a few episodes to be pleasantly surprised/rewarded with the ever-evolving, but constantly engaging content of the show.A salute to Mike, for his realness with his fanbase, and his ability to engage and sustain new listeners every week. Every MxPx fan should listen to this. New or old. I love hearing MxPx stories and conversations on politics. I never miss an episode. I come for the MxPx, but I stay for the discussions on politics and religion. The thing I enjoy most about this podcast is Mike's openness to talk about MxPx. I'm sure he started this podcast to get away from that aspect of his life and show a new side that the general public (including myself) was unaware of. Yet, Mike answers all MxPx questions from his guests and gives us fans some insight about the band over the past 20 years. The deeper conversations about politics and religion is pretty cool as well. If you're a long-time fan of MxPx, subscribe to this thing ASAP. You'll start looking forward to Fridays for reasons other than partying. Never miss a cast. Particularly enjoyed #17 with Poncho and Lefty. Felt as those I was knockin' back cold ones with you guys. But episode #25 was amazing cause I've always wanted to go through your catalog with you Mike, playing hi - low. Thank you Jason Hockney Zeimet. Will continue to be a dedicated listener. MXPX!